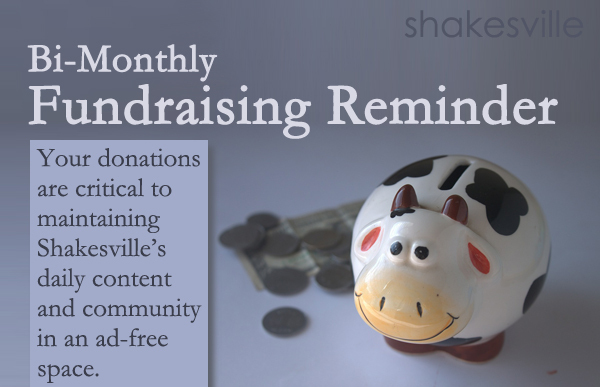 If you value the content and/or community in this space, please consider setting up a subscription or making a single end-of-year contribution. So! If you value my work here and/or on Twitter — if you appreciate being able to tune in for coverage of politics and culture, for curated news about the Trump administration and/or the resistance, for Democratic primary round-ups, for media analysis, for a safe and image-free space to discuss difficult subjects, for the Fat Fashion or Makeup or Shaker Gourmet threads, or for whatever else you appreciate at Shakesville, whether it's the moderation, community in the Open Threads, video transcripts, or anything else — please remember that Shakesville is run exclusively on donations. I would certainly be grateful for your support, if you are able to chip in.